To provide the highest quality rehabilitation services supported by the most current evidence to all patients under our care. We ensure our professional staff is well-trained and committed to maintaining a successful work environment. To be recognized as the leader in rehabilitation, education, and prevention of physical dysfunctions while improving and enhancing the quality of life for all members of our community. Whether you're recovering from a sports injury, trying to lose weight, or just keeping your heart healthy, we can help you achieve your best! We have compiled a team of professional therapists who have a wealth of knowledge and over 75 years of combined experience. Many of our therapists have or are working towards advanced degrees and certifications in their field of work. 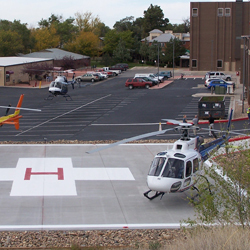 AVRMC is the premier provider of rehabilitation services to the Arkansas Valley. We are committed to providing the most competent, compassionate, and current evidence support care possible. Our therapists work with all physicians and health care providers to ensure the most comprehensive plan of care. 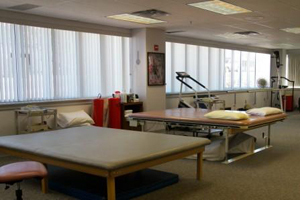 We strive to design and implement an individual rehabilitation program to meet the unique needs of each patient. To further assist patients, our support staff is prepared to handle questions regarding insurance coverage and scheduling. Consider AVRMC for your rehabilitation services first and avoid the long commute for your therapy needs. 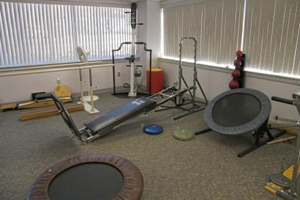 Our department also offers inpatient rehabilitation services to AVRMC patients in acute care, SNF, and the nursing home.